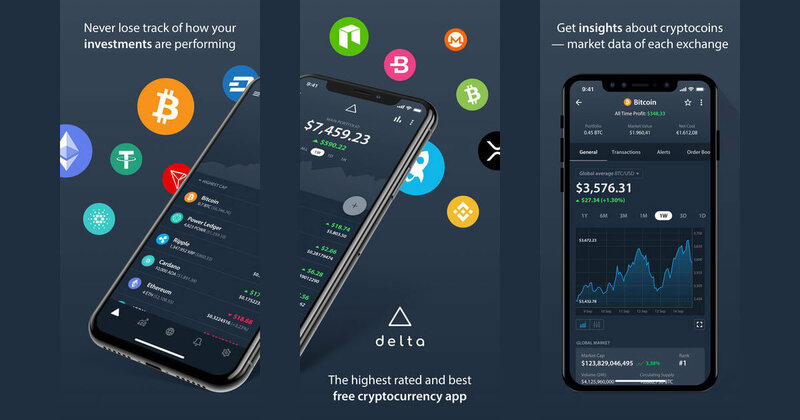 Delta is a crypto portfolio & markets tracking app.Track all crypto assets you choose, including Bitcoin, Ethereum, Ripple, Litecoin and over 5000 altcoins and get personalized news and alerts. PORTFOLIO AT A GLANCE – A clear overview of your total portfolio balance, profit & loss during various time periods. See your cryptocurrency investments and trends in not only your local currency but in ANY fiat and cryptocurrency. DETAILED COIN ANALYSIS – See the current price, chart, market cap, volume, high, low, order book, depth chart, your holdings, your profit/loss. project website, whitepaper and more. WATCHLIST & MARKETS – A full coinmarketcap style list of coins along with global market data. Add coins to your watchlist if you just want to keep track of certain coins. HUGE LIBRARY OF COINS – Track over 5000 crypto coins, including Bitcoin, Ethereum, Litecoin, IOTA, NEO, Dash, Monero, and many more! PORTFOLIO ANALYTICS – A complete analytics dashboard giving you valuable insights into your portfolio(s) such as location of your coins, fees breakdown, most used exchanges and more. 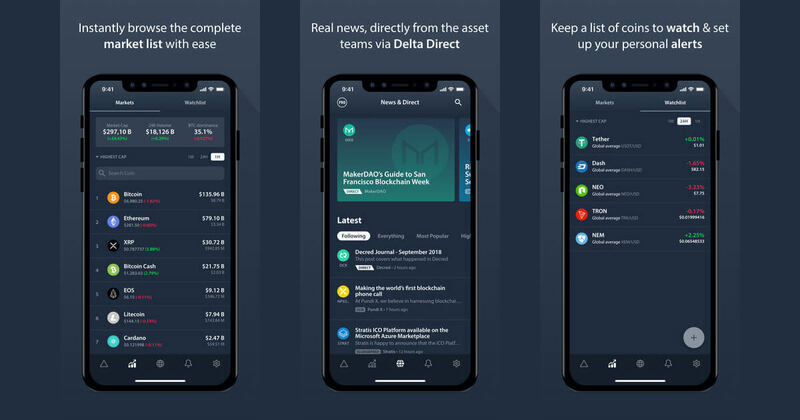 NEWS & DELTA DIRECT – Create a personalized news feed by following coins you like. Delta Direct is a transparent way for asset teams to send updates directly to you. Real news, directly from the source. 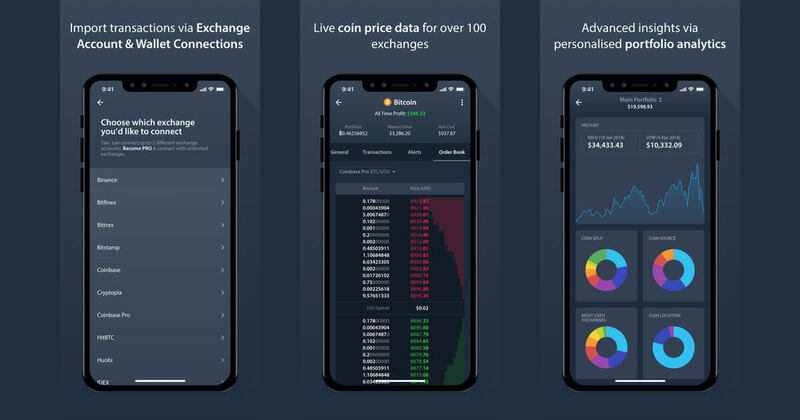 EXCHANGE & WALLET CONNECTIONS – Sync your portfolio automatically by connecting with a variety of exchanges and link your ETH, BTC, LTC, NEO, and other wallet addresses to automatically import transactions! SYNC & BACK-UP DATA ACROSS DEVICES – Transfer or sync your data between devices easily without accounts! Easily back-up your data using our recovery QR code. PRICE ALERTS – Set up personal notifications for each cryptocurrency. Get daily alerts and notifications when there are significant changes to a coin’s price or your portfolio’s value.